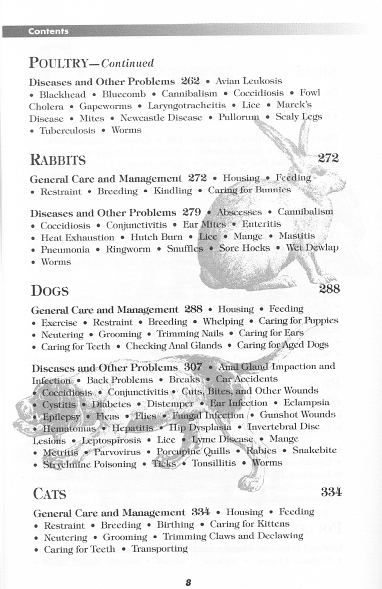 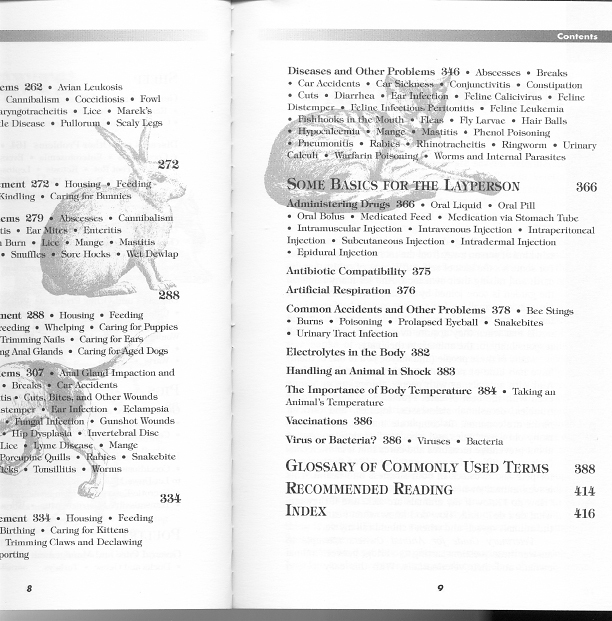 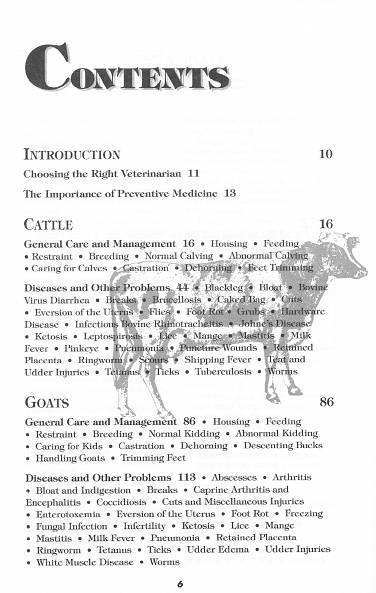 This book contains 420 pages of specific preventive measures and cures to all common pet and livestock ailments. 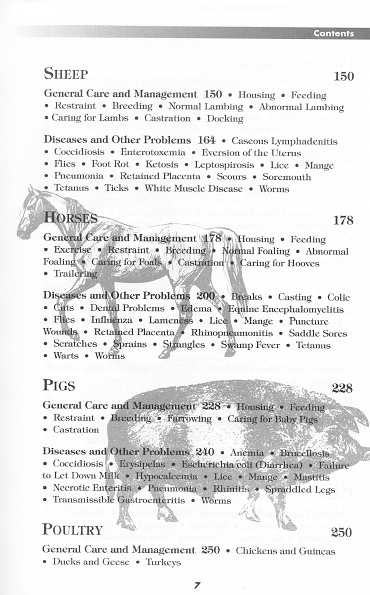 It has chapters on: cows, goats, sheep, horses, pigs, poultry, rabbits, dogs and cats. 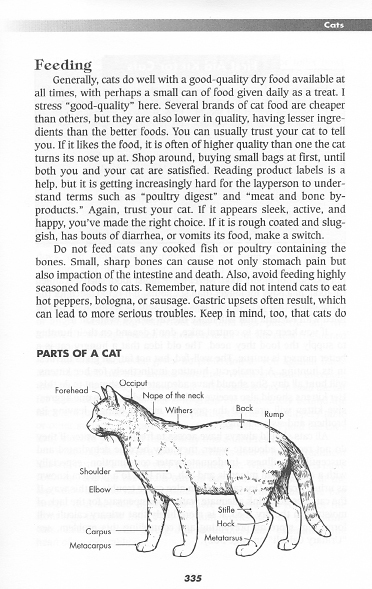 A book that animal owners will turn to again and again.